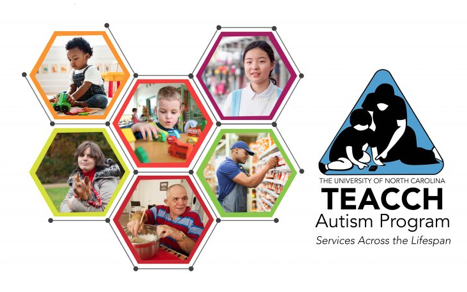 In 1972 when Dr. Eric Schopler launched the University of North Carolina TEACCH® Autism Program, he set UNC on a trajectory as a national and international leader in Autism Spectrum Disorder research and services. Forty-three years later, and now under the leadership of Dr. Laura Grofer Klinger, Associate Professor of Psychiatry, TEACCH continues to stand alone in its comprehensive approach enhancing the quality of life for individuals with Autism Spectrum Disorder and their families. TEACCH supports families across North Carolina with a range of services including referral and consultation, diagnostic evaluations, family and parent support groups, social play groups, individual counseling, and supported employment. North Carolina families can receive these services at the TEACCH headquarters in Chapel Hill or at one of the seven regional TEACCH Centers around the state.